What are railcards for? One school of thought is that they are a public-service obligation, designed to help the parts of the population who are likely to be financially less well-off. An alternative view is that Railcards, rather than existing only to help those less able to afford travel, are there to increase revenue. There is also a railcard for members of the armed forces. I do not know if the armed forces are well paid, so the ‘financially less well-off’ idea may or may not apply there. There is however one ex-BR national railcard which people outside these groups can purchase, the ‘Family & Friends Railcard’. This requires a group including at least one child, whether this makes such groups any less ‘well-off’ than a family group including students who are too old to be classed as children is an interesting question. If railcards increase revenue, then that is achieved by encouraging more rail journeys than would be the case without railcards. This perspective is supported by the fact that the only national railcard introduced since privatisation is available to all age groups, regardless of profession and without the need to travel with children. The ‘Two Together Railcard’ does exactly what it says on the card, namely that a pair of named users must travel together to get the discount. Of course, running one car costs much the same regardless of the number of travellers, but the cost rail travel increases dramatically if everyone has to pay full fare; so you can see why the Two Together Railcard could help the trains win business. Adults travelling alone however currently cannot benefit from a national railcard, how many more could be persuaded to travel if there was a railcard product for one person, like the 16-25 railcard but available to everyone? There are a few arguments against a ‘universal railcard’. The first is that, while it would probably increase rail travel, it could result in an overall reduction in revenue. Another is that you might as well just have lower fares to begin with, not bothering with railcards, and of course there’s the ‘railcards are only there to help the less well-off afford to travel’ argument. All of these are challenged by the confusingly named ‘Network Railcard’. These days, the term ‘Network Railcard’ may lead people to believe it is valid on the whole rail network, but in this case the word ‘Network’ refers to British Rail’s ‘Network SouthEast’ (NSE) area. 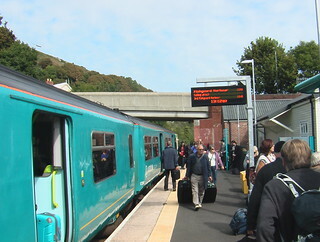 Thus, the ‘Network Railcard’ railcard is restricted to a certain area, like the Pembrokeshire railcard and similar local railcards, but the ‘Network Railcard’ is more significant since NSE covered a large area. At £30, the ‘Network Railcard’ costs the same as most national railcards, but can be bought by anybody and your discount can extend to a small group you are travelling with. 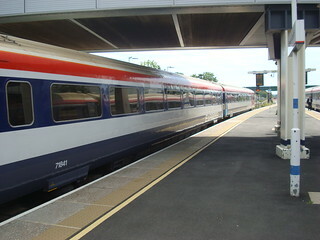 NSE, unlike Regional Railways, required little if any subsidy, and most of the privatised train operating companies running in the ‘Network Railcard’ area now pay a premium to the government. That suggests that, if allowing everyone to purchase a railcard reduces revenue, it doesn’t do so by much. A ‘railcard for anyone’ might even increase revenue, indeed Railfuture have claimed that a 2003 study they commissioned shows that it would. Although anyone would be able to get 1/3 off fares, the railcard itself would not be free. Therefore, sales of the railcard are therefore producing revenue, which shows the argument that this is no different to cutting all fares by a third to be false. Having spent money on the railcard, passengers may also be inclined to travel more by rail to maximise the value-for-money they receive through the purchase of their railcard. It might even improve the perceived value-for-money of the train ticket itself, especially if the passenger is booking online where the non-discounted full fare would be shown to them. And providing value-for-money is important. According to transport focus’ Autumn 2015 survey rail passenger satisfaction survey, less than half (48%) of passengers were satisfied with the value-for-money of their journey. Under ‘satisfaction on the train’, the only areas which performed worse were availability of staff (Department for Transport take note, stop trying to remove guards), dealing with delays and toilet facilities. Anytime Railcard a railcard for one person with few, if any, peak restrictions (similar to the current senior railcard). Group RailcardSimilar to the Anytime railcard, but (like the ‘Family & Friends’ and ‘Network’ railcards) would allow passengers travelling with the holder to receive a discount too. The suggested prices are just for illustration. Were this to be implemented, I would hope some careful consideration of the optimum price would be carried out. 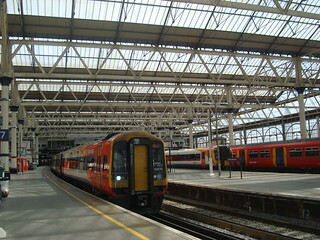 ‘Concessions’ would be persons who belong to the age groups covered by the 16-25 and senior railcards, as well as those who are eligible for the ‘Forces Railcard’ and the ‘Disabled Railcard’ although the latter is likely to be a better option for most eligible passengers than the new products proposed above. I’m not entirely sure the Group Railcard is really necessary, since there is a separate ‘Group Save’ scheme which provides similar discounts to groups of 3 or 4 people without them requiring a railcard, but there may be a case for both (or for replacing ‘Group Save’ with the new ‘Group Railcard’). As for the maximum size of the group, I would suggest one card would allow up to 6 people, of which up to 4 may be adults (1 adult and 5 children would also be permitted) to receive the railcard discount. The ‘Group Railcard’ would be valid regardless of whether any children are present in the group and would remain valid for the holder even if the he or she is travelling alone. If Railfuture are correct that allowing anyone to buy a railcard would increase rail industry revenue, then I can see only one reason which might be preventing the introduction of such a scheme: capacity. Quite simply, if the railcard were available, would the trains be able to cope with the increase in rider ship? Then again, the busiest part of the network already has an area railcard available to all.